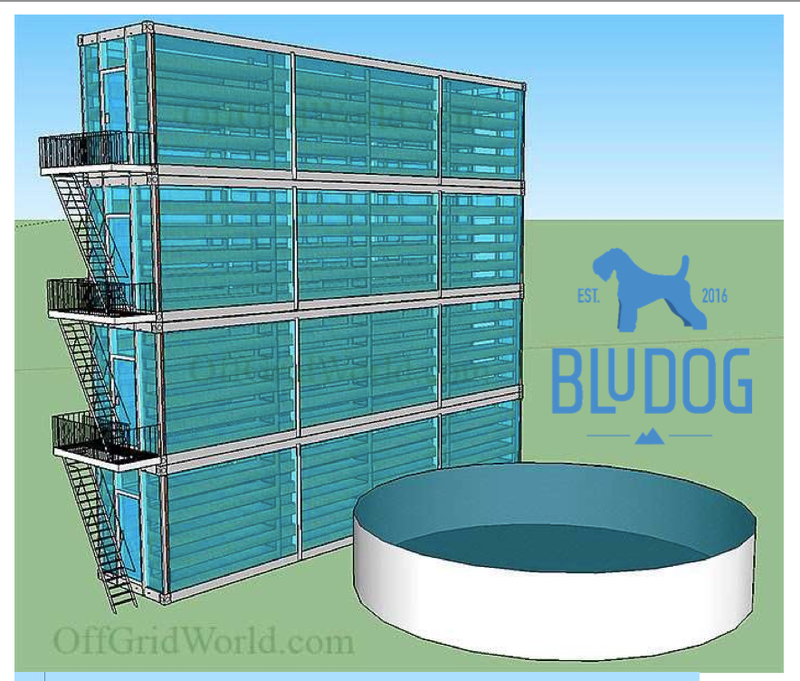 SARASOTA, FL--(Marketwired - Aug 17, 2017) - BluDog Products LLC, a subsidiary of International Consolidated Companies, Inc. (OTC: INCC), is pleased to update its shareholders with floor plans and 3D rendering of the proposed Stackable Modular Grow House (SMGH). "This creative stackable, modular design allows for sustainable grow houses that efficiently make for great space planning. This is a logical, green approach to efficiently grow in areas where spaces are premium, regardless of climate conditions. This design and maximizes the return on investment on the unit cost,"
says Jeffrey Halferty of JH Design, designer of the SMGH. "We are excited about the next steps as JHD details out the design specifics and puts prototype out for bid,"
says Antonio Uccello, president of INCC.